I haere au ki toa Park Avenue Quality Meats. I hoko au nga tōtiti. I hoko au ngā tōtiti kabonosy. I tūhi au mō te tōtiti kabonosy. He kau he poaka ki roto ngā tōtiti kabonosy. Ka kai i te tōtiti kabonosy, ka rongo i te mīti me te auahi. Ka rata ngā tangata i te tōtiti kabonosy. Kainga ngā tōtiti kabonosy tērā pea ka pai ngā tōtiti kia a koe. Fifty percent of the readers of this blog, come from countries other than New Zealand. This week in New Zealand it is Māori Language Week. An English translation of the post is below for those who are working on building their use of the reo. I went to Park Ave Quality Meats. I have written about kabonosy. 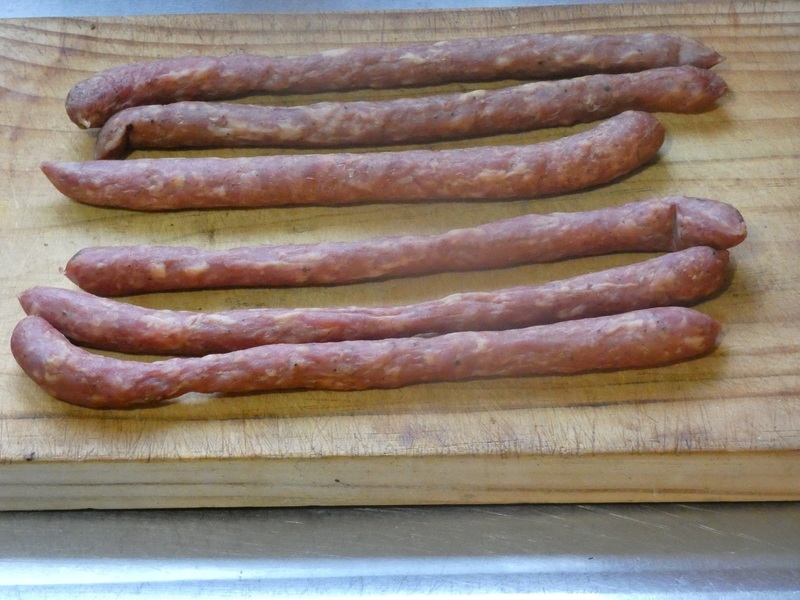 Beef and pork go into kabonosy sausages. When you eat kabonosy sausages you taste meat and smoke. Eat these sausages perhaps you will like them. Feeling quiet please that I could understand all but one word in the first four sentence.